Camera Update for Nokia N8! 30FPS, Continuous Autofocus, faster Cam UI! Nokia Conversations and Nokia Beta Labs has some great news for N8 users. Just as Damian Dinning promised, a N8 specific update after Anna to come and give your camera some extra love (hence why N8 site at the time said Anna but still 25FPS). This application is an upgrade to the built-in camera application, for your Nokia N8. It will look familiar to you, no doubt. It’s still the great N8 camera, providing superb results. We’ve just made it a little better by making some of the improvements we didn’t manage to squeeze into the Symbian Anna release. We improved the quality of recorded videos, by cranking up the video recording speed to 30 FPS and adding the heavily requested continuous auto-focus. We’ve spent a lot of time optimising the code here to make the video smooth and frame-rate stable. This allowed us to increase the video frame rate to 30fps and achieve excellent stability. Using the older code resulted in less stable frame rates. Using the Beta Labs application you’ll get 30fps in auto mode. This provides significantly smoother videos, especially during panning. There’s been a lot of online discussion around whether 30fps is really needed given movies are shot using 24fps. With movie cameras the time interval between each frame is extremely short compared to the time the shutter is open. 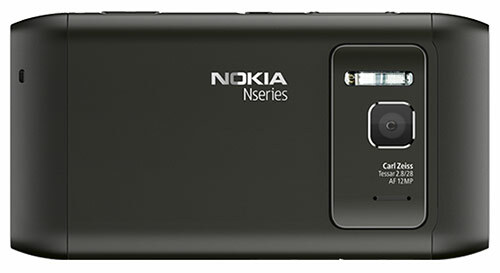 Whereas with electronic shutter-equipped devices such as the N8, the interval between frames can easily be greater than the time the sensor is exposed. By increasing the frame rate with such devices, the interval between frames is reduced resulting in smoother video. There’s a lot of work done to improve the N8 camera. Damian did not just want to complete tick boxes. He is an avid perfectionist in imaging and will not settle for anything less than imaging done right. They’ve implemented a way to cut the noise produced by continuous AF. To combat this issue, we’ve also developed a noise filtering system which specifically extracts the noise pattern the piezo lens drive emits from the audio signals. It works similarly to noise-cancelling headphones. This took quite some time to get just right, as we didn’t want to impact the already excellent audio recording capability of the N8, still one of very few devices which record audio with a stereo ambient audio track. Oh and in video, they’ve added grid lines to help those wanting to shoot in the 2.39:1 cinematic aspect ratio. Camera video switch on left.